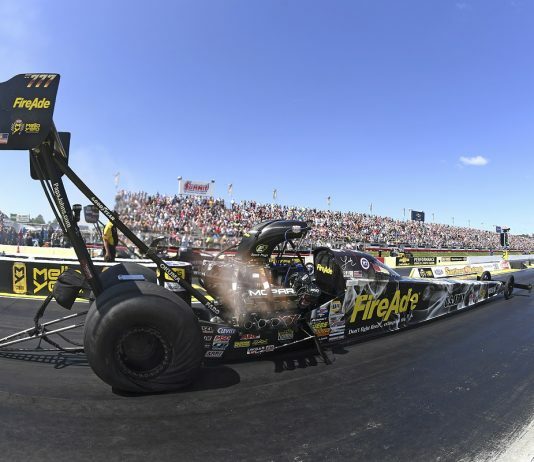 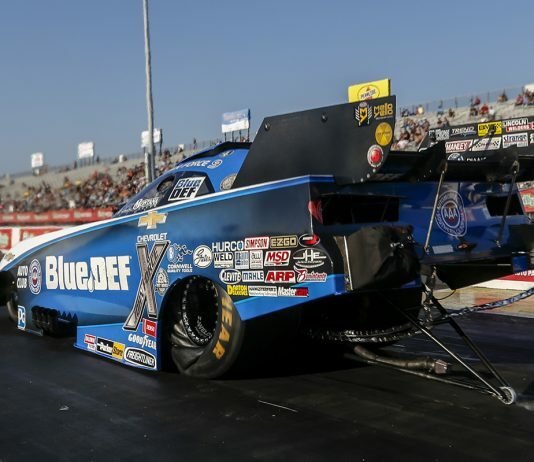 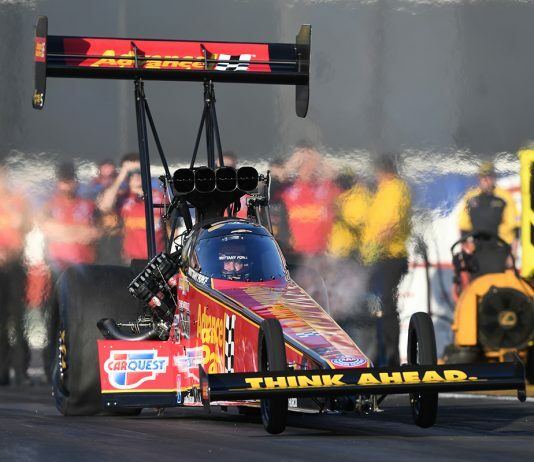 Brittany Force arrived to the 32nd annual Mopar Express Lane NHRA SpringNationals presented by Pennzoil ready to defend her 2018 win and she’s off to a good start. 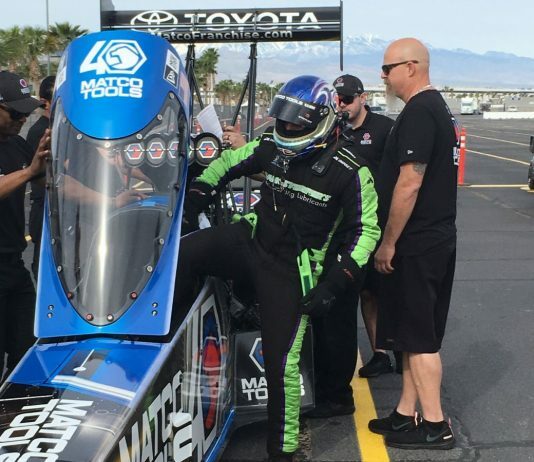 Matt Sackman, cylinder head specialist on the Matco Tools Top Fuel dragster and a Don Schumacher Racing developmental driver, successfully earned his NHRA Top Fuel license on Monday at The Strip at Las Vegas Motor Speedway. 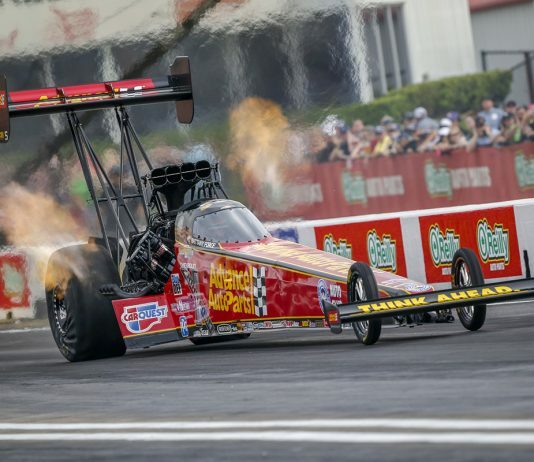 Last year, Houston Raceway Park powered by Pennzoil was the site of one of Brittany Force’s most triumphant moments in her standout career. 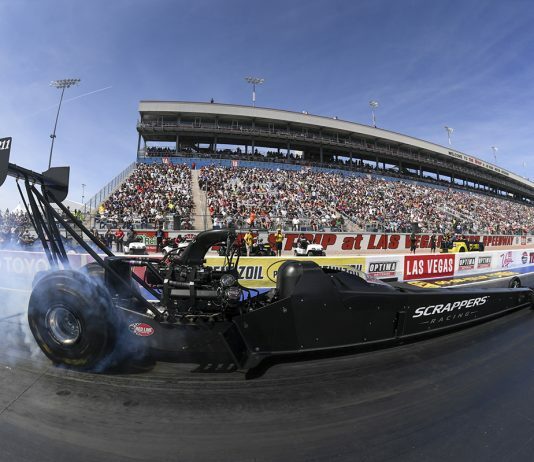 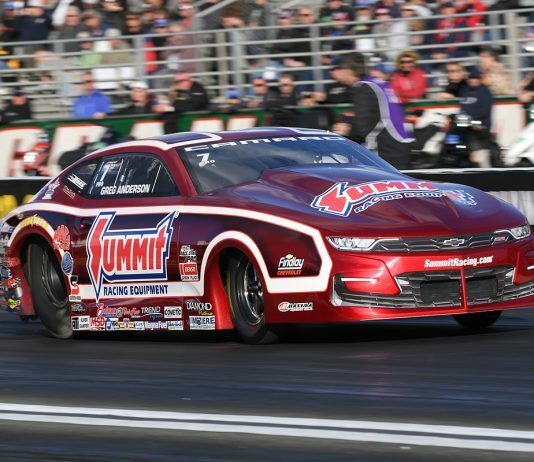 Mike Salinas picked up his first NHRA Top Fuel win Sunday at the 20th annual DENSO Spark Plugs NHRA Four-Wide Nationals at the Strip at Las Vegas Motor Speedway. 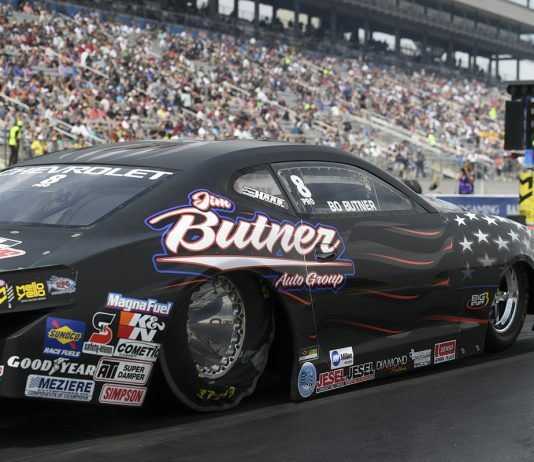 Tim Wilkerson raced to the provisional No. 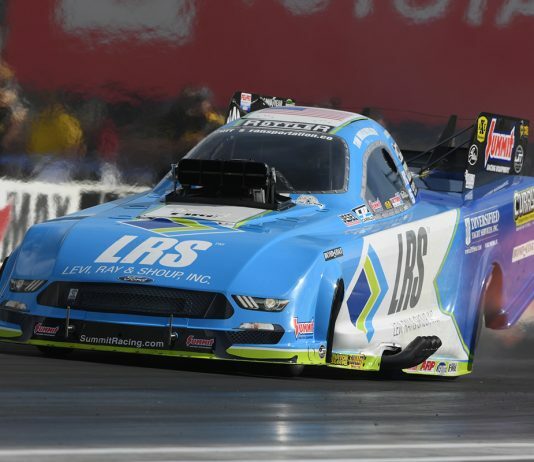 1 spot at The Strip at Las Vegas Motor Speedway at the 20th annual DENSO Spark Plugs NHRA Four-Wide Nationals Friday afternoon. 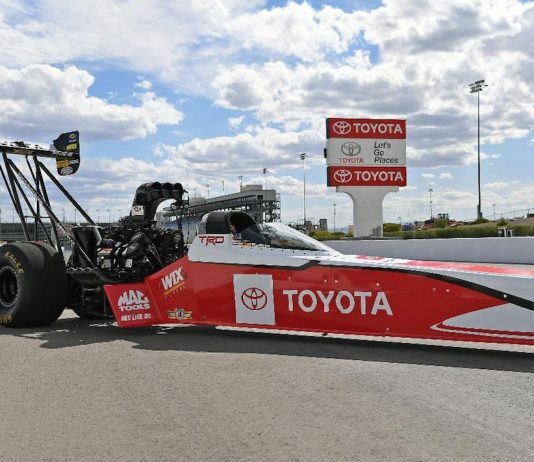 When Ken Black first formed KB Racing in 2001, one of the things he stressed to Greg Anderson was the importance of performing well at his home track, The Strip at Las Vegas Motor Speedway.